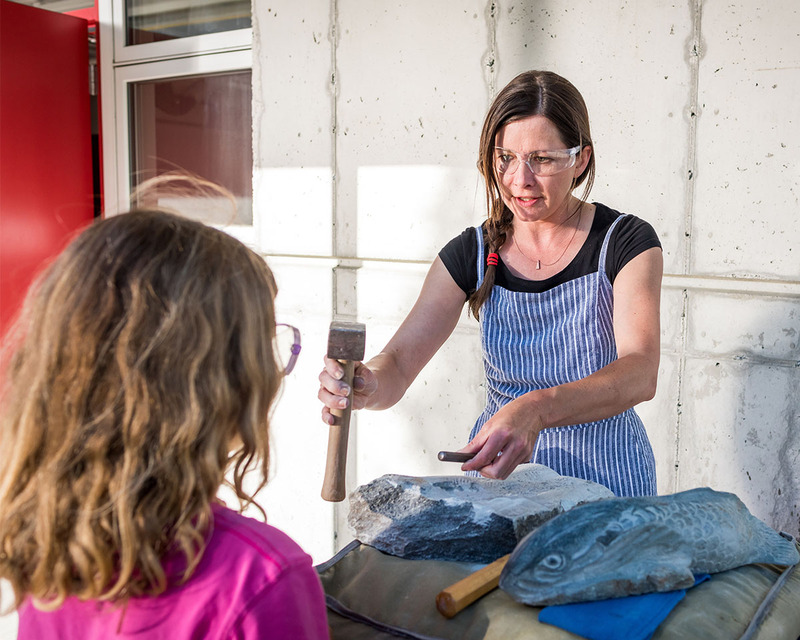 Stone carver Heather Milne Ritchie loves to observe that moment when her students find their way into a piece of granite. 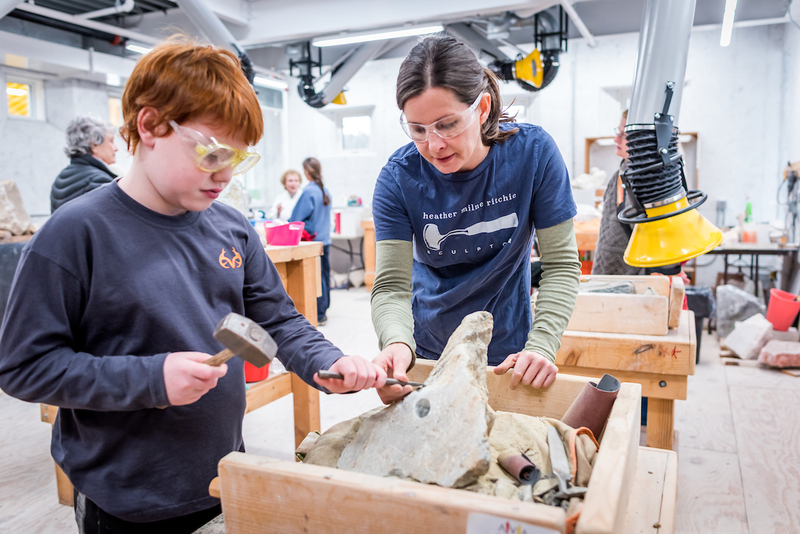 Ritchie’s own beginnings with stone go back to a college internship with the Vermont Historical Society, during which she got to put both her love of history and her art skills to use. “Back then we didn’t have digital cameras to shoot artifacts, so I was drawing the items to catalog them,” she says. 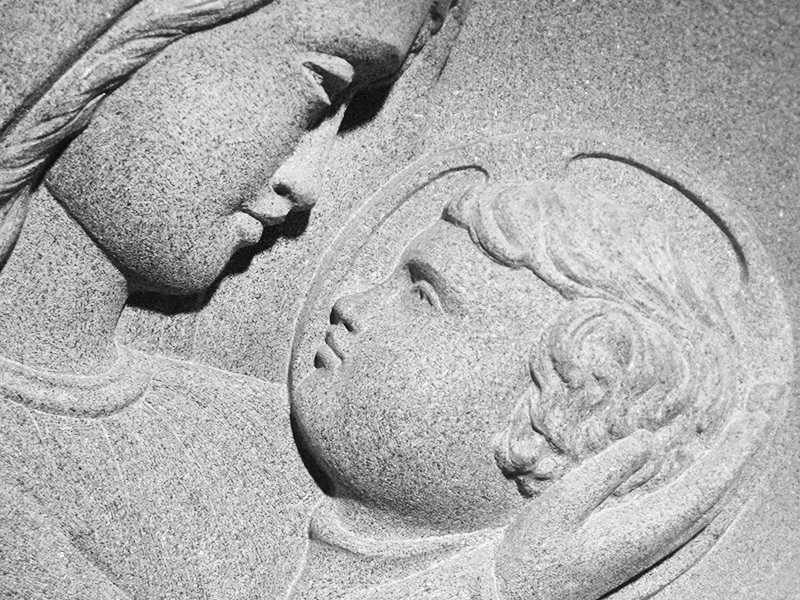 Her tasks broadened when she was given the opportunity to curate a showcase of old Vermont stone carvers—a rich tradition with substantial roots in Barre, VT.
After college, Ritchie was living in New York City (“on a friend’s couch”) when a woman from her internship reached out to her about a granite carver back in Vermont who was looking for an apprentice. The apprenticeship, funded by the Vermont Folk Life Center, would put her side by side with celebrated sculptor George Kurjanowicz. 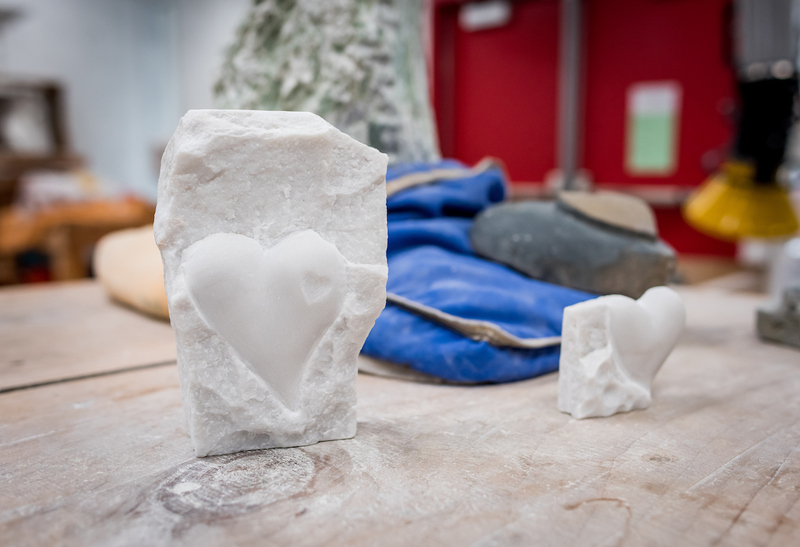 “It was springtime in New York, and the city was starting to thaw—and smell,” she says, so almost on a whim, she packed up and headed back north to Barre for her first real foray into stone carving. 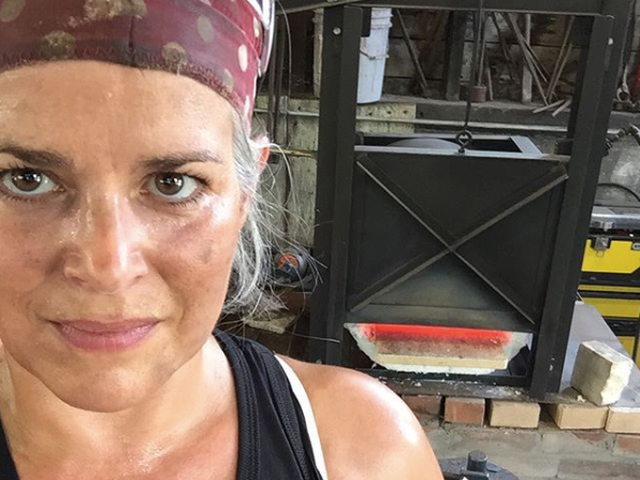 In spite of being, at the time, the only woman there—for which, she says, she “got a bit of heat”—her tenacity and deep inner drive sustained her through the apprenticeship. And it was how she picked up those virtues of rhythm, endurance, and patience. 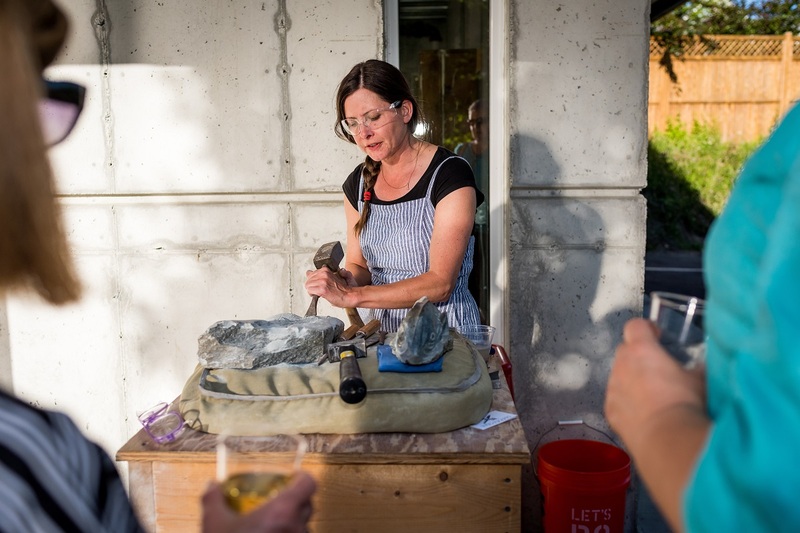 Because although she admits it’s not the most “touchy-feely” medium, Ritchie believes firmly that there’s something very special about working with stone. No one says it’s going to be easy, but for someone who likes a challenge, all the hard work with this hard material offers lots of reward. 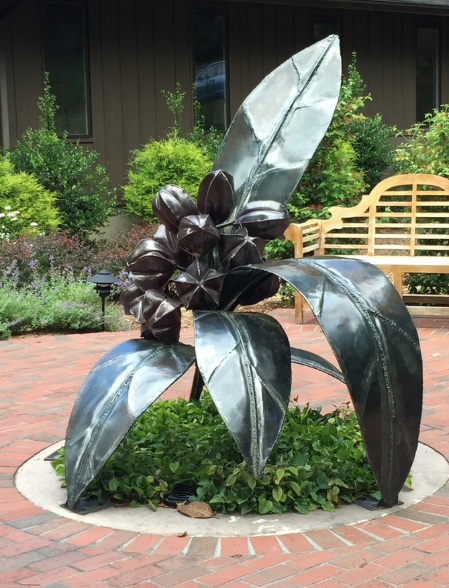 Read more about Ritchie and explore examples of her work on her website. Sign up now for Ritchie’s weekend-long “Michelangelo Madness: Introduction to Stone Carving,” running January 25-27. Open to adults and teens. 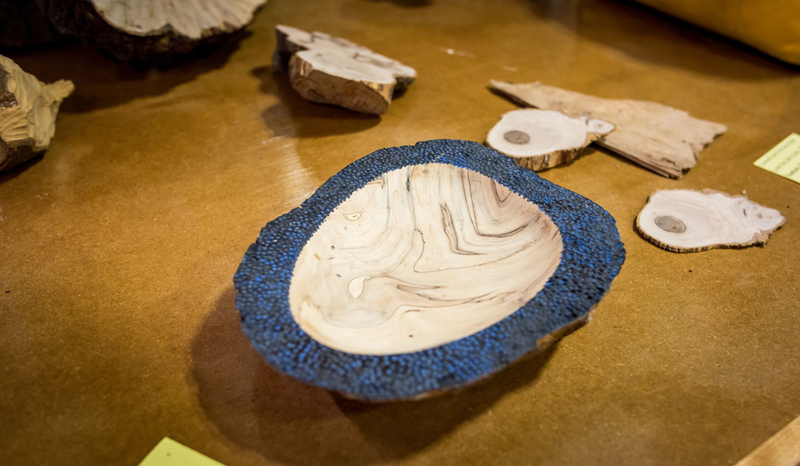 Jay Singh’s journey to becoming a fine woodworker is undoubtedly a metaphysical one, with its fair share of transcendent turns of luck, and it begins in the 1960s in Kent, Ohio, where he owned and ran, quite literally, a metaphysical bookshop. The university closed soon after, and so, as a result, did his bookshop. But he’d already begun tinkering in metals with Ohio friends who were silversmiths. So when he packed up and moved to Vermont to join a spiritual community, later heading off to build a log cabin in the woods of Maine, Singh was certainly “crafty and artsy,” he says, but was yet to fully discover why. Lucky he found it, because the woodworking program’s open house was the very next day. He went and was immediately hooked, going on to earn a degree and then becoming an instructor at the college. Singh’s formal training emphasized precision, especially in furniture making, but his inclinations were always less linear. “I started taking classes in the art department and experimented with design that was more creative,” he says. After more than a decade in Santa Fe, where Singh carved out a successful period of producing and selling his sculptures, what convinced him to move to the Upper Valley, he says, were the sources of the most rewarding spiritual experience in his life: his grandchildren. And now, when he isn’t spending time seeing the world through their wide-eyed, unfiltered lens, he’s often in his studio at AVA Gallery. Starting in January, Singh will offer an introduction to woodworking in AVA’s Bente Building, and it will begin with the fundamentals of fine woodworking, before deepening into concepts of texture and design, shaping and color that students can bring to the pieces they’re creating. 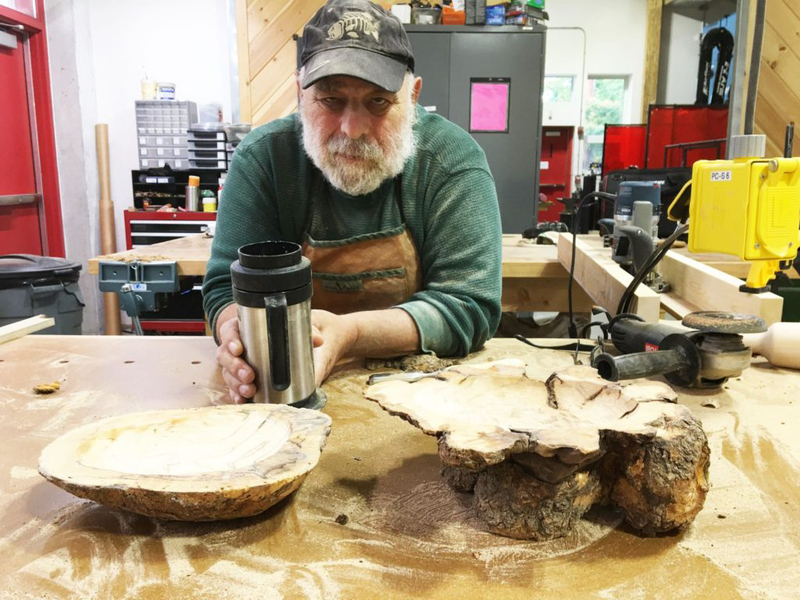 Students will gain both the technical knowledge that goes into woodworking as well as, Singh hopes, “a pointing in the direction toward that source inside you,” which can transform a hunk of wood into something useful, beautiful, and possibly out of this world. 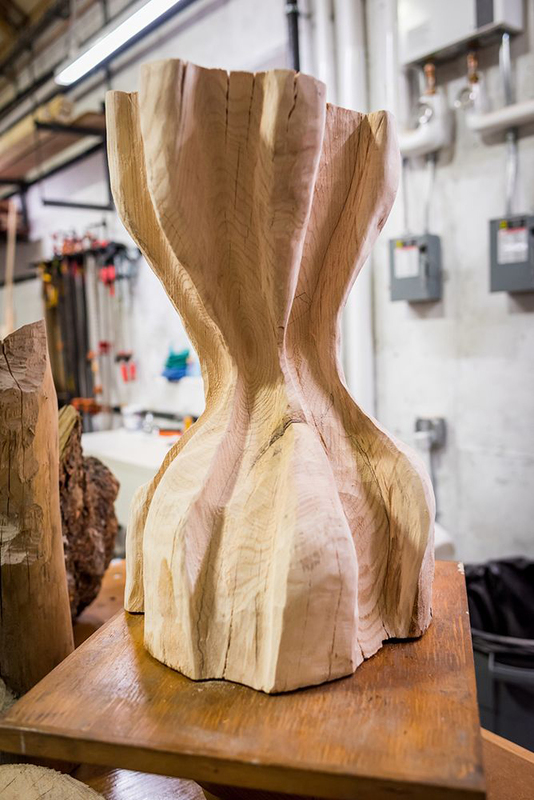 Sign up here for Jay Singh’s class, Wood Sculpture I, and explore other woodworking offerings at AVA this winter. 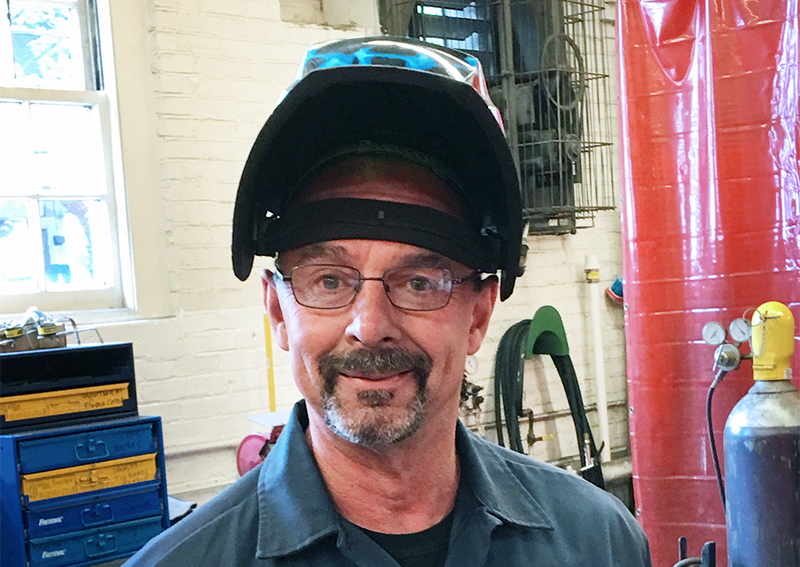 As welder for Dartmouth College, Jimmy Martell often finds himself in pretty tight spots. Among any number of labor-intensive tasks, he repairs the pipework for the enormous underground steam system that supplies heat to the campus. 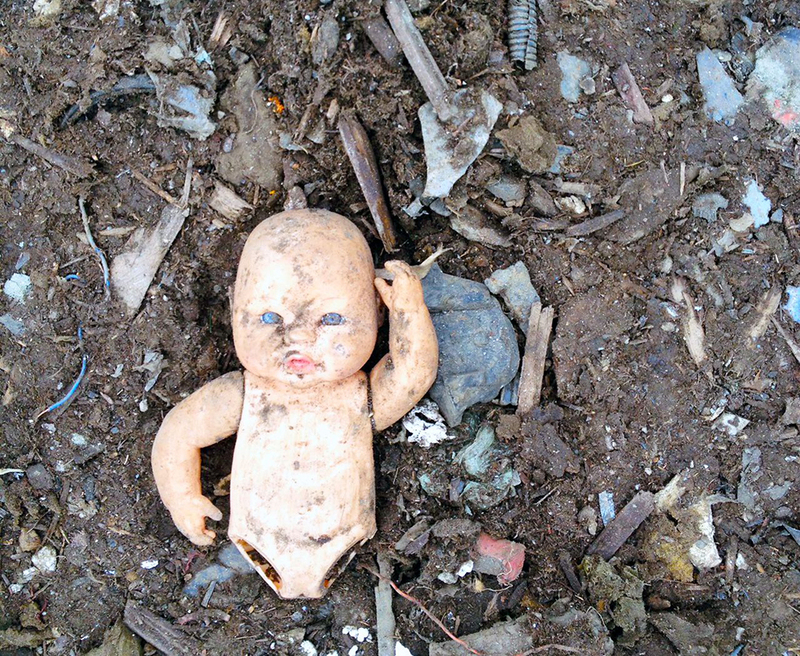 “Yesterday I spent six hours in a spot no bigger than a cardboard box, ten feet underground,” he says. If a little unexpected, the opportunity lets Martell scratch a longtime itch. “I’ve had a yearning to teach for some time,” he says. 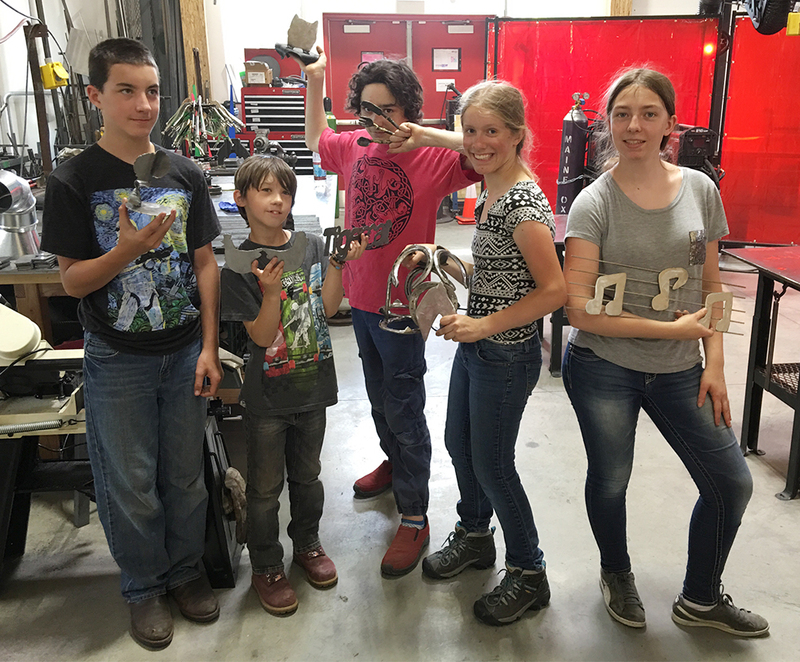 CLICK HERE to explore and sign up for welding and metalworking classes offered for teens and adults at AVA! 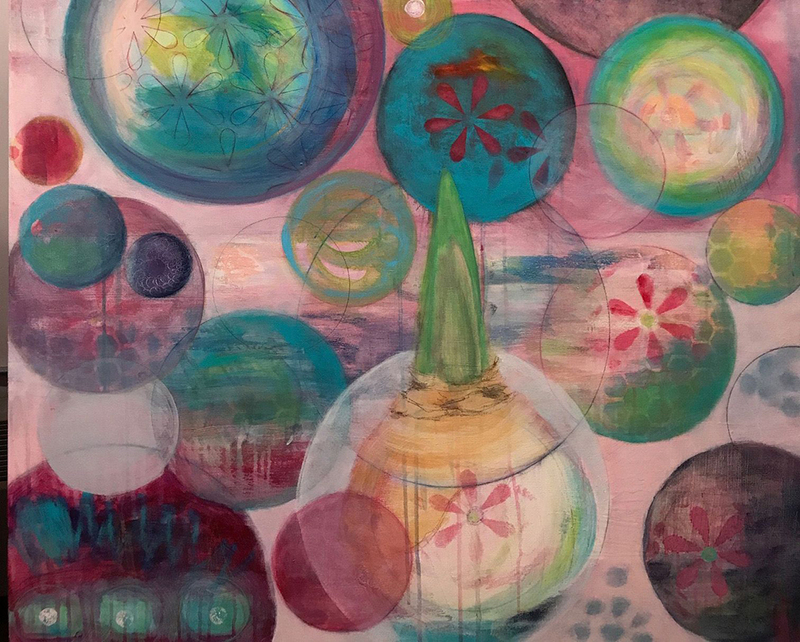 Just through the door of one of AVA’s private artist studios, I find Maggie Kundtz Joseph in front of an oversize canvas adding brisk strokes of a watercolor pencil to a painting. 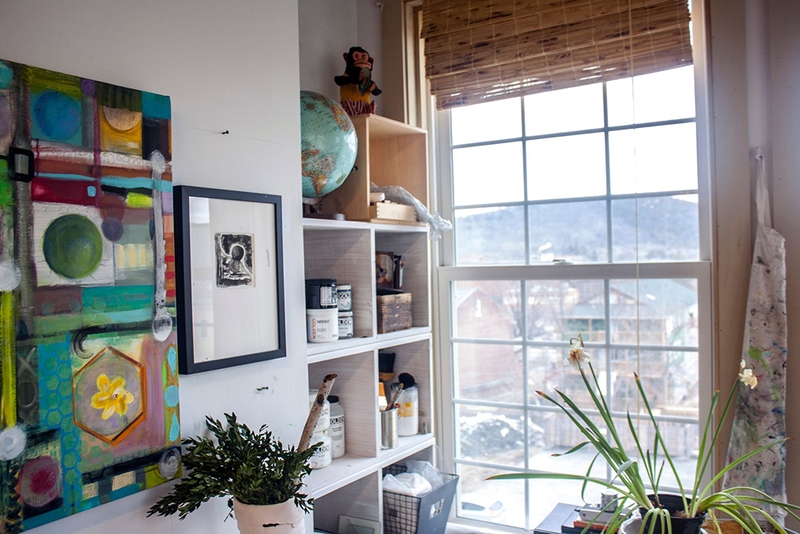 The studio is flooded with natural light through large windows, overlooking rooftops of historic downtown Lebanon. The high ceiling opens up dimensional possibilities for large works. And the wood floors are as creaky and pliable—as steeped in the history and character of the building—as you would hope. Simple and spacious, the studio naturally inspires. Occupying this space since 2013, Kundtz Joseph has made it her own—an apparent reflection of the artist’s restless, diversiform vision. The large canvases lean three or four deep against the easel. The walls, too, are nearly floor-to-ceiling in painted works that she has decided, for now, are complete. Kundtz Joseph’s interests are far from canvas-bound. 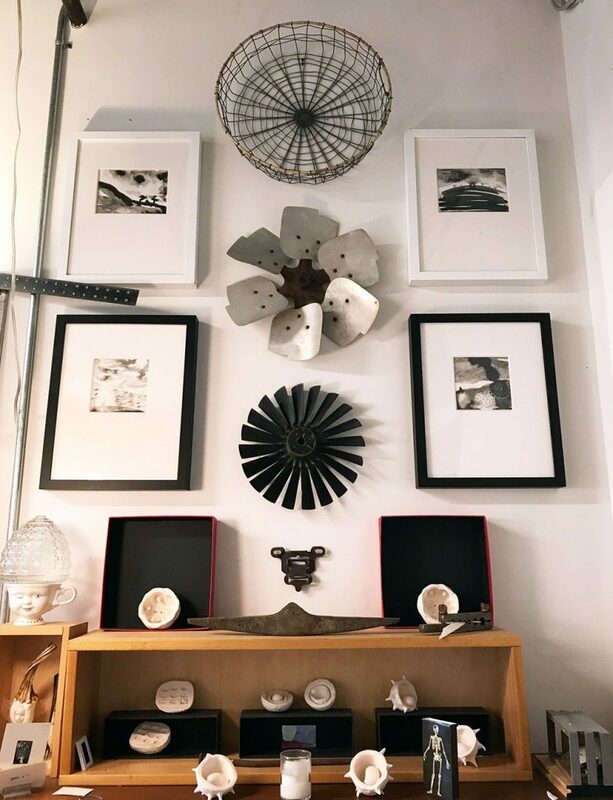 She shows me a smattering of small sculpture objects placed throughout the studio. “They’re like my inner children,” she says. 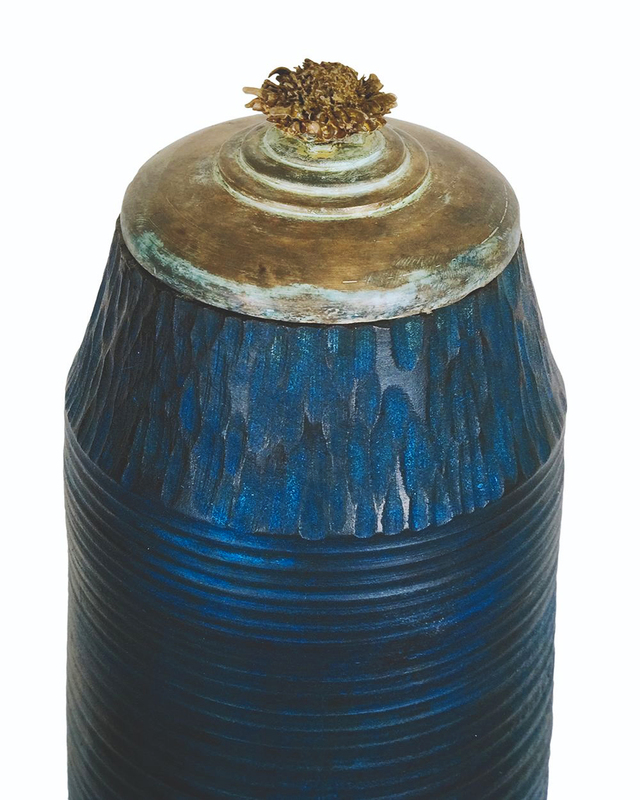 These assemblage, among painted canvases as well as clay-formed vessels and metal sculptures, begin to describe Kundtz Joseph’s resourcefulness and versatility as an artist. A hunger for more dynamic subject matter led her—and her camera—to New York City, where she was soon navigating the vibrant gallery culture down in SoHo, working as a freelance photographer, and brushing elbows with many of the idols of the art world. The art happened nevertheless, and something of an artist’s persona also took shape during Kundtz Joseph’s years making photographs in New York. Her prevailing themes followed mayfly into motherhood, all the way through her family’s transition, in 2009, to the Upper Valley. But as many artists come to know too well, the demands of raising children can quickly displace any chance at making art. For a period of a few years, her output slowed considerably. Mayfly’s renaissance, let’s call it, has come with a fresh notion of what propels her art. 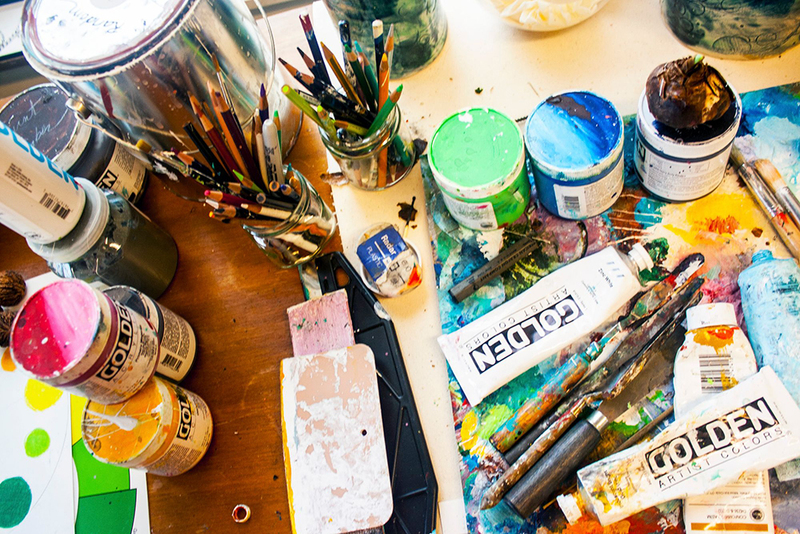 “Now I’m more fed by the process than I am by finishing—or showing—something,” she says. A studio at AVA has afforded her that luxury of time and space, and pieces need not be complete for mayfly to know progress. Each canvas, each little assemblage is a practice, and it’s done when it’s done. 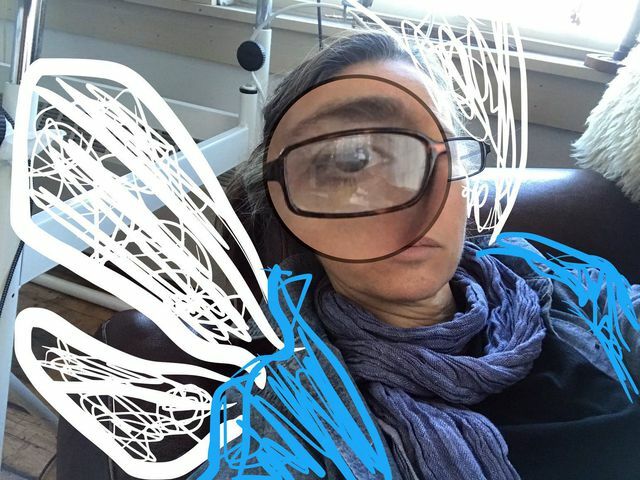 Taking her journey into account, having “cell-divided a billion times,” several iterations beyond even that restless New Yorker snapping photographs, mayfly feels like she’s just getting started.